The Strange Thing about Apple, and FaceTime // The Mark Bao Weblog. « I’ve joined Branchr Advertising as CTO. But why is it that when the iPhone 4 is introduced, everyone that I know that is getting an iPhone 4 is “excited about the video calling” and “will be using it all the time”? Why is it that people that aren’t into technology at all are talking about the iPhone 4 video calling functionality in the break room? Why is there, all of a sudden, a belief in the idea that video calling can be resurrected by Apple and FaceTime? There are a few reasons, none of them mutually exclusive. The simplicity of FaceTime adds greatly to its appeal. John Gruber argues this point in his article, and compares this to the video call procedures of the HTC EVO with a quote from David Pogue’s review of the HTC EVO. Apple’s track history in making perfect experiences. Subconsciously, do we think back upon Apple experiences, and draw extrapolations on those experiences regarding their future products, such as FaceTime? Compare this to if Microsoft launched a front-facing camera on their new KIN line of phones. Usually, when people think Apple, they think excellent user experience, whereas Microsoft—which reminds me of Windows Mobile and even the clunky and slow KIN interface—they’d be thinking the opposite. Advertising of the FaceTime feature as a flawless, seamless experience (see video below.) Especially the fact that they included FaceTime as a prominent feature of the iPhone 4, whereas the HTC EVO—even though there was a lot of chatter about there being a front-facing camera—with other phones, didn’t. Is it the first real video calling solution that normals have been introduced to? 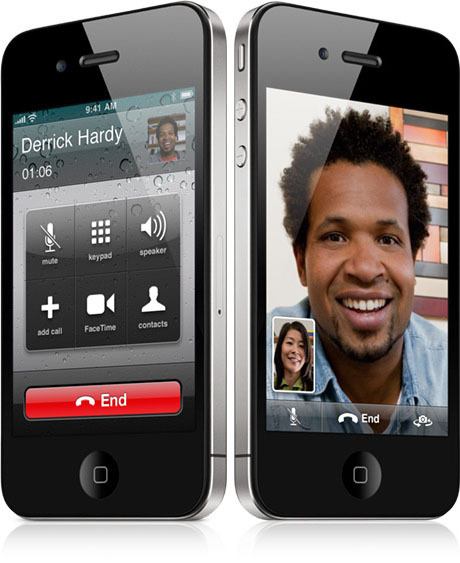 Have normal users really been introduced to mobile video calling before the iPhone?